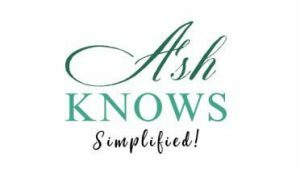 Ash Knows understands that your privacy is important and that is why it cares about how your personal data is used here. The owner and contributor of the site will be referred as “I”, “My” in these Terms. I personally value and respect the privacy of every individual who visits my blog. I only collect and use your data in the ways that that are highly consistent with your rights under the law as well as my obligations. I do not give any person any kind of permission to republish my material which includes content, images, and anything present on this website without asking me. If you choose to share my content, images, or information at some other platform, please link back to the source (my blog). When you subscribe to my newsletters, provide me with feedback, or contact me, I only collect your email address and name. When you register an account on this blog, you will receive an email containing a welcome message and your login details. I may use your contact information to send you information about our Services, to market to you, and to help prevent spam, fraud or abuse. You may use your settings for email and mobile notifications to control notifications you receive from me. You may also unsubscribe from notifications by following the instructions contained within the notification or the instructions on this blog. I offer third party products or services on my website. These third party sites have separate and independent privacy policies. I, therefore, have no responsibility or liability for the content and activities of the linked sites. Nonetheless, I try my best to protect the integrity of my blog and welcome any feedback about these third-party sites. When you purchase products (ebooks) present on my blog, I request you to provide personally identifiable information on the order form. You must provide contact information (such as name, email, and billing address) and financial information (such as credit card number, expiration date). I use this information for billing purposed and to fill your orders. If I get any trouble while processing your order, I contact you using this information. Once you successfully complete a purchase, you will receive an email receipt of your order. I use your Personally Identifiable Information for the purpose of providing you with the product that you have requested. I do not share your information with third parties. You have specifically requested that I do so. I deem it necessary to provide you with the services you have requested. It is required to disclose personal data in response to lawful requests by public authorities. I believe in good faith that disclosure is necessary to protect our rights, protect your safety or the safety of others, investigate fraud, or respond to a government request. I have reason to suspect that unlawful activity has been, is being or may be engaged in and the use or disclosure of your personally identifiable information is a necessary part of the investigation of the matter or in reporting my concerns to relevant persons or authorities. This policy is subject to change without any notice and was last updated in April 2019. Thank you for taking out time and reading it!